This Wrist corsage is perfect for weddings, proms & other special events. Unlike fresh flowers, this corsage can be kept as a keepsake after the event. 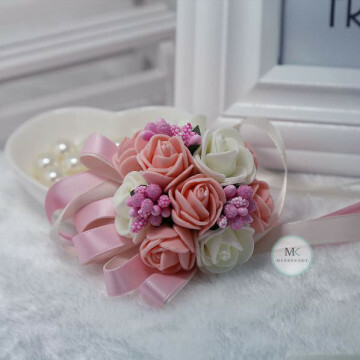 Merryknot's Rose wrist corsages is available in 2 popular colours - Pink and Blue and makes a great keepsake after your wedding day. 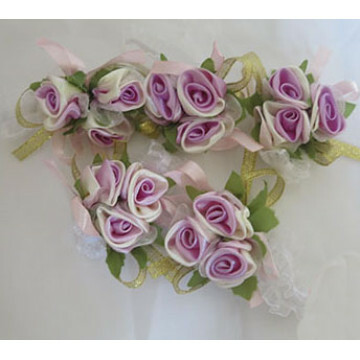 Merryknot's Peony Flower wrist corsages comes in wide variety of colours to match with your desired wedding theme. Match it with your desired colour theme. 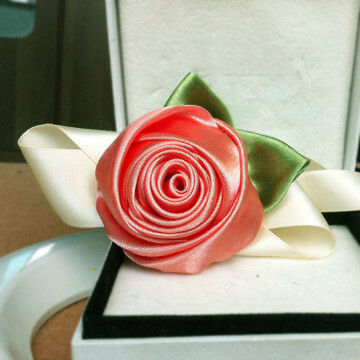 Merryknot's Classic wrist corsages comes in wide variety of colours to match with your desired wedding theme. 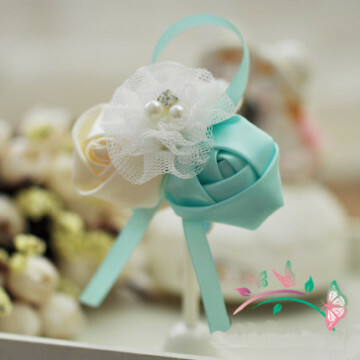 Made of fabric and ribbon, Merryknot's wrist corsage ensure that the bride, the bridesmaid and even the flower girl look at your absolute best on the wedding big day. Merryknot's design 3 wrist corsages comes in wide variety of colours to match with your desired wedding theme. You need not worry about the fresh flower corsage turning brown and messy or even being allergic to flowers and pollen. 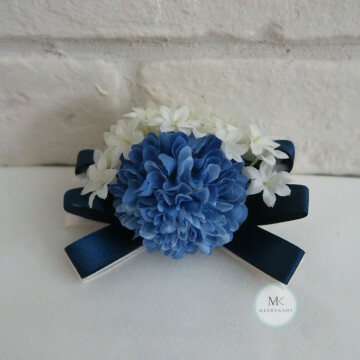 Merryknot's design 2 wrist corsages comes in 3 colours to match with your wedding theme. You need not worry about the fresh flower corsage turning brown and messy or even being allergic to flowers and pollen. Match it with the Wedding colour theme. 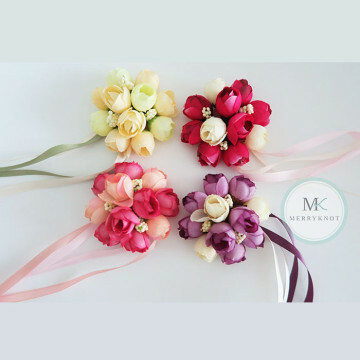 Merryknot's wrist corsages comes in wide variety of colours to match with your desired wedding theme. You need not worry about the fresh flower corsage turning brown and messy or even being allergic to flowers and pollen. 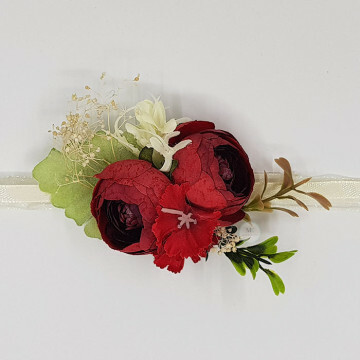 Made of fabric and ribbon, Merryknot's wrist corsage ensure that the bride, the bridesmaid and even the flower girl look at your absolute best on the wedding big day. You need not worry about the fresh flower corsage turning brown and messy or even being allergic to flowers and pollen.